VRYHEID, South Africa — The chilly highland valleys of northern KwaZulu-Natal province, where coal mining and agriculture have coexisted since the late 19th century, have never been a geography of unfolding uncertainty, mystery, and menace like they are today. South Africa’s allegiance to coal mining and coal-fired power generation in an era of rising concern about water supply and quality, and weakening national and global demand, is causing a furor in the country’s mining sector, affecting the financial community, and tearing holes in President Jacob Zuma’s veil of privilege and scandal. The national turmoil, and a number of distinct regional conditions are tilting the balance of benefits and risks against new coal development in this area, say many residents. A deep two-year drought, the worst ever experienced in northern KwaZulu-Natal, emptied the drinking water reservoirs of Vryheid and nearby Paulpietersburg late last year. Thousands of town residents line up every morning to fill buckets with fresh water transported by tanker trucks from sources as far away as Pongola, a farm town set by the river of the same name that is 132 kilometers (82 miles) east of here. Outside the hill towns, where springs and deep wells are still active, one coal company is drawing nearer to gaining a license to mine a new coal seam near Paulpietersburg. At least nine other companies have been quietly nosing around the steep slopes of the area’s tabletop mountains for unmined reserves. Markets for new reserves are thought to include coal-fired power stations in neighboring Mpumalanga province, and for export. Richards Bay, South Africa’s primary export shipping terminal, is 214 kilometers east (133 miles). Senior managers of the South Africa Department of Mineral Resources declined to be interviewed for this article. The department’s weak public involvement mechanisms and Web site make it difficult for the citizens to follow new licensing applications. 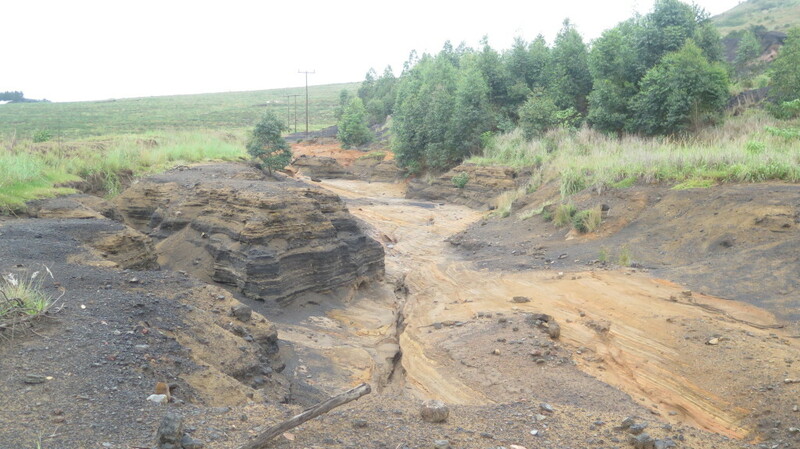 Farmers, acutely anxious that pollution from new coal mines could contaminate their water, have responded by establishing a new advocacy group, the Pongola River Catchment Protection Association, to keep abreast of mining activity on the ground, and to oppose new mineral development. On an overcast day earlier this year Mattie Beukes, a retired sugar cane grower, and Johann Boonzaaier, who manages the big water supply and transport network for Pongola’s sugar cane plantations, toured the quiet highland valleys to talk with farmers and civic officials. Their goal was to gain intelligence about any new coal mining activity. The fact-finding trip turned up no fresh evidence of new mines, but the region around Utrecht and Vryheid is alive with mining proposals not yet acted on. Coal mining also mixes with another threat in this region. Like a cold fog, the sense of regional apprehension settling over the KwaZulu-Natal highlands grew more gloomy two years ago when Nico and Marcia Lens were murdered at their grain and cattle farm tucked into a highland slope outside Paulpietersburg. The unsolved murders of the 62-year-old farmer and his 52-year-old wife draw agriculture and energy together in an unexpected way. The Lens’ empty and unsold white farmhouse, which lingers barely visible beneath untrimmed trees at the end of a long dirt drive, lies close to the 2,000-hectare (4,942- acres) underground coal mine that Tholie Logistics, a small Johannesburg mineral company, proposes to develop. 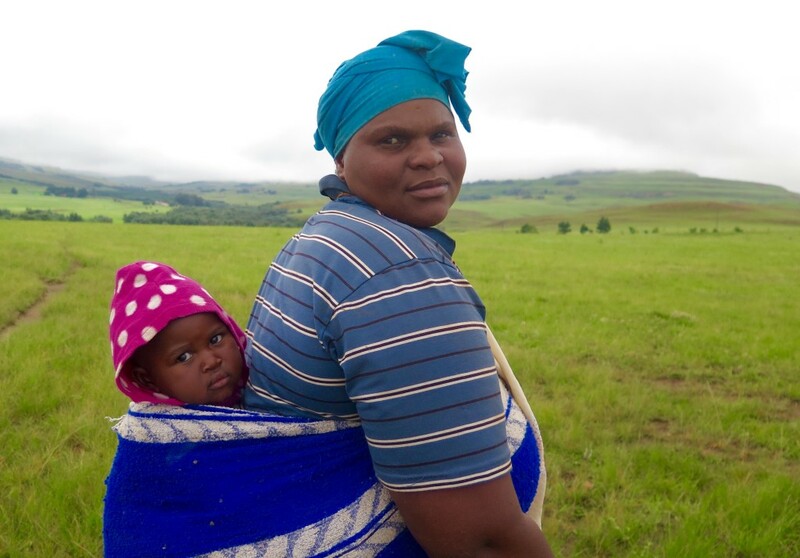 The murders and mining applications have put farmers and other residents of this region on high alert for their personal security, and the safety of the land. That sentiment is gaining more credibility in KwaZulu-Natal and across contemporary South Africa. Though there are a small group of out-of-work miners, some government officials, and a handful of mining executives that view new coal production in KwaZulu-Natal as a boost to job growth and local treasuries, that it is by no means a consensus opinion. In interviews with farmers and local residents, white and black, people objected to new mining. Read the full report at Circle of Blue here. See all of the reports from South Africa at the Choke Point: South Africa page at Circle of Blue.